In the Candide series, Karel Jerie transforms Voltaire’s famous 18th century satire into a baroque steampunk space opera. 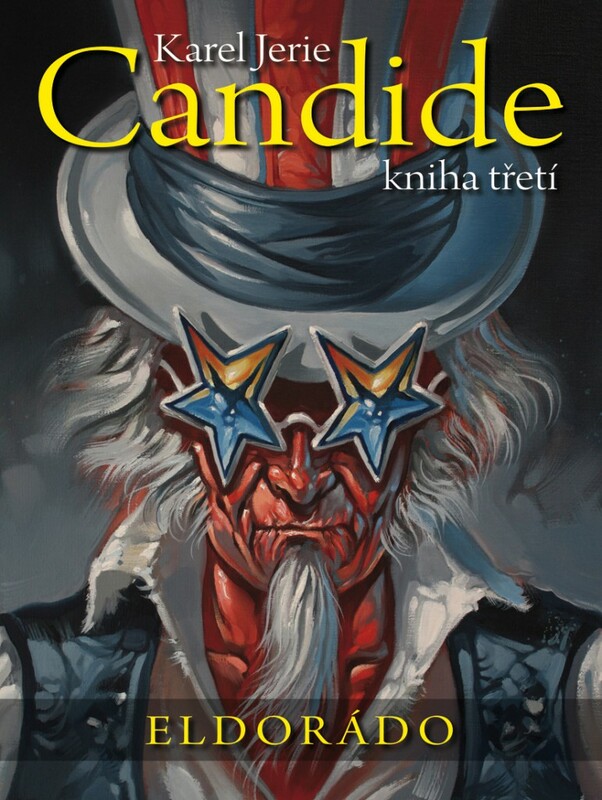 What would the well known satirical novel Candide look like if Voltaire lived in the 21st century and drew comic books? Perhaps it would look like the comics trilogy of the same name by Karel Jerie. In this baroque steampunk space opera the reader will find everything they ever wanted from a comic book: dinosaur riders, flying castles, gigantic battles, mutants, doctors who can replace torn limbs with robotic implants while you wait, interplanetary travel in steam-powered spaceships, pernicious villains, stunning women, treacherous governors and cosmic pirates! And, of course, the main hero, who with his characteristic naivety travels across half the globe and undergoes all sorts of challenges to save his beloved. With a healthy dose of humour and philosophical musings, Karel Jerie takes the reader along the fine line between the serious and light-hearted, across mountains of corpses to the coveted garden. After finishing the trilogy, it us up to the reader whether they will take their life into their own hands and grow their own ‘garden’ as best they can. Karel Jerie (b. 1977) is a painter, illustrator and comics author. His drawings and comic strips are regularly featured in newspapers and magazines. Jerie won first prize in the professionals category at the 2008 International Festival of Comics and Games in Łódź and the first volume of his epic comics trilogy Candide won two Czech Muriel Awards in 2014. He is a founding member of the SEQENCE civic association and the Czech Comics Academy, both of which aim to support comics in the Czech Republic.